Rabbi Zev Cohen, Mara d’Asra of Congregation Adas Yeshurun, delivering a shiur during the Midwinter Recharge Week in Houston. The Kollel of Houston hosted a Mid-Winter Recharge Week from Tuesday, January 22 through Sunday, January 27, sponsored by Dr. and Mrs. Zev and Susan Munk. Rabbi Moshe Friedman, director of the kollel, explained, “Many people came to visit Houston from around the country during their mid-winter vacation. In order to provide them with Torah learning, and to expose them to the ruach of the Houston community, we created a week of special programming. Rabbi Cohen spoke about how to deal with societal changes while in the workplace, such as how to approach co-workers who are not following a moral lifestyle. He also discussed scenarios that possibly involve geneivah in the workplace, such as taking the office’s paper clips for personal use. He related that Chazal say that when Moshiach arrives, he will first go to the marketplace, and will ask the non-Jews about the Jews. If the non-Jews report that the Jews were honest, then Moshiach will stay. If they were not honest, he will leave. Therefore, we have an achrayus as Torah Yidden to uphold the Torah and make a kiddush Hashem. On Thursday evening, there was a special farbrengen with renowned singer, Mr. Yosef “Joey” Newcomb, at the Young Israel Nusach Sephard minyan. In addition, Reb Ari Winkler, one of the leaders of this minyan, delivered a Chumash shiur. Shabbos featured scholar-in-residence Rabbi Shay Schachter, Rabbi and Rosh Beis Medrash of Young Israel of Woodmere. 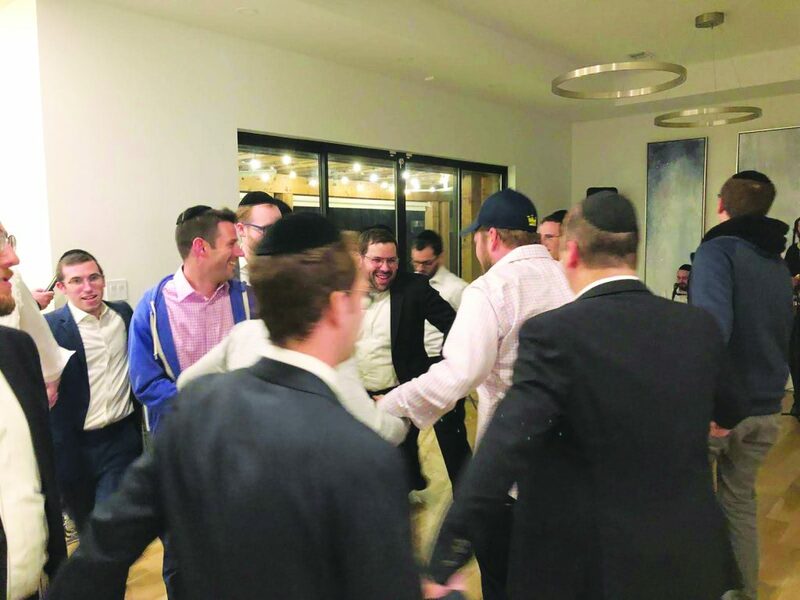 Kabbalas Shabbos, which was attended by hundreds of people at Young Israel of Houston, was led by Joey Newcomb. Later, there was an oneg Shabbos held at the home of Dr. and Mrs. Zev and Susan Munk, with the participation of Joey Newcomb. The event also featured divrei Torah from Rabbi Shay Schechter and Rabbi Menachem Tendler, Rav of U. City Shul of St. Louis. 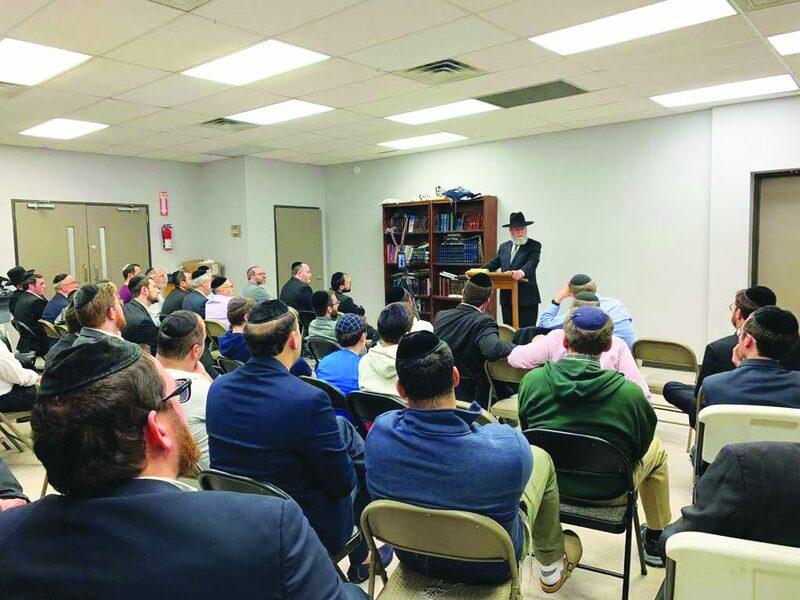 On Shabbos morning, Rabbi Schachter delivered a shiur after the 7:15 a.m. Shacharis at Young Israel on “Kvod Habriyos: Human Sensitivity in the Halachic Process,” explaining the parameters of taking kvod habriyos into consideration when paskening halachah. Rabbi Mayer Yehuda Lichtman, Menahel of Yeshiva Ohr HaTorah in Chicago, delivered a shiur after the 8:00 Shacharis at Young Israel. On Shabbos afternoon, Rabbi Schachter delivered a shiur on “Anti-Semitism and Our Special Relationship With Hashem.” He emphasized that part of emunah is the realization that we do not understand everything. Although there are many situations in this world which do not seem to make sense, this is not a contradiction to being a maamin. If there were no questions, it would not be a challenge to be a maamin, and a true maamin will maintain his emunah even with the questions. Seudah shelishis was held at the Young Israel Nusach Sephard minyan, followed by Maariv and a musical Havdalah. On Motzoei Shabbos, Joey Newcomb led a beautiful and inspiring kumzitz at the home of Mr. and Mrs. Yechiel Polatsek, which was followed by a light melaveh malkah. The recharge week was much appreciated by the guests and the entire community. Rabbi Friedman reported that he received a lot of positive feedback.